Ultimate Aqua Challenge – Can you Beat the Flying Medic? Taking place on Friday 14th September at Let’s Go Hydro, Carryduff the challenge is a timed inflatable assault course; packed full of adrenaline-fuelled action and fun. 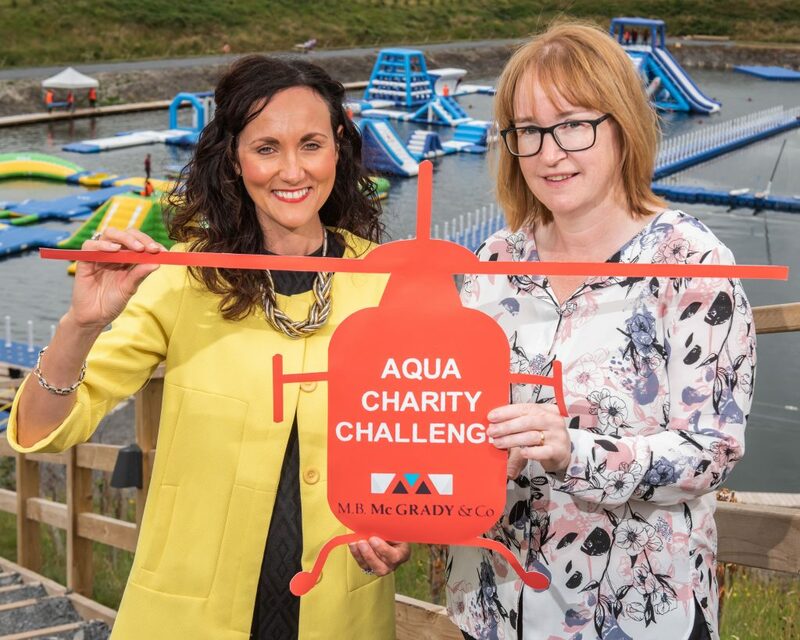 Calling for entries, the fundraiser is open to both individuals and teams and offers the chance to tackle aqua park obstacles whilst also racing against each other vying to beat the time set by the ‘Flying Medic’ – a HEMS Doctor from Air Ambulance NI. “We are delighted to be supporting the vital work that Air Ambulance NI does and helping the charity to maintain its service and contribute towards long-term sustainability. The charity choice was unanimously chosen by employees and we are thrilled to be partnering with such a remarkable charity and look forward to developing our relationship over the years. “September 2018 marks Air Ambulance NI month, so we are thrilled that M.B. McGrady & Co. are helping to celebrate the milestone with this unique, fun, family event. It’s set to be a great day, and we would love to get as many people as possible making waves and raising money for our charity. M.B. McGrady & Co Chartered Accounts has three offices, situated in Belfast, Downpatrick and Newtownards, and staff from across all the offices will be taking part in the challenge to try to beat the time set by Dr. Alan Laverty, from Belfast who is a HEMS Doctor with the service. 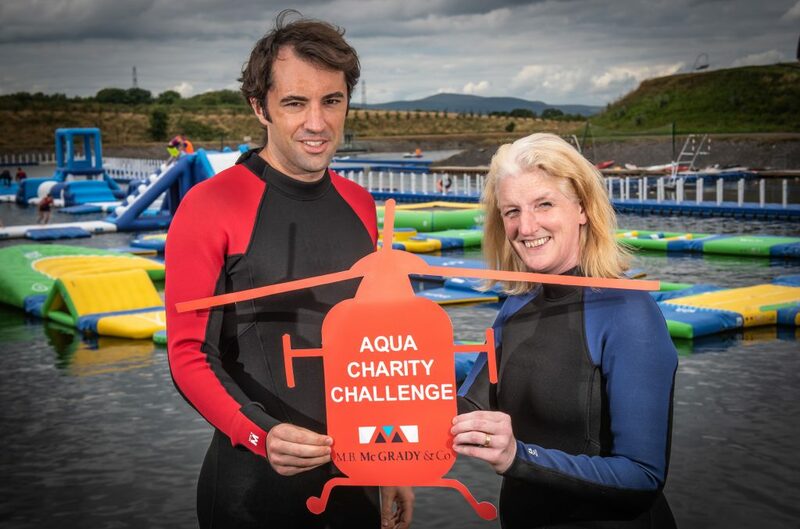 ‘Can you Beat the Flying Medic’ Aqua Challenge will be held at Let’s Go Hydro, Carryduff Reservoir from 3pm – 5pm on Friday 14th September. Places can be booked> here or for more information visitwww.mbmcgrady.co.ukor call 028 9521 3621. The event is suitable for all fitness levels however, if an inflatable fun run isn’t for you, you can watch colleagues, friends and family take on the course from the side-lines and make an afternoon of it by enjoying food and refreshments, with all proceeds going to AANI.